A couple nights ago, I was sitting in front of the TV waiting on the local campaign coverage. Amid the mindless programming that passes for entertainment, and the irritating advertisements that follow it, a particular commercial caught my eye. This commercial, which initially resembled the trailer for COPS, depicted uniformed officers carrying out their nightly duties. One of these scenes involved an officer manhandling and arresting a suspect in what appears to be a public place. While my initial reaction was one of disgust for the glorification of the police state, I was somewhat more disturbed when I saw what this commercial was actually advertising. It was for a relatively new company named Advanced Protection Services, located in Myrtle Beach, South Carolina. 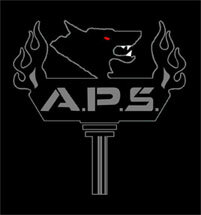 APS is a private investigations and security contractor functioning in only two states, as of yet – South Carolina and Arizona. Its staff is drawn from former law enforcement and military personnel and its services range from property and nightclub security to community patrol. The latter, which is stated clearly on the APS website, is particularly concerning due to the fact that, while there may be a place for private security firms, “community patrol” is a local police duty. Interestingly enough, APS patrol cars are similar to Horry County and Myrtle Beach city police cars and have been seen in the area before. Whether or not these vehicles were patrolling is unknown. However, a presence has clearly been established. Last year, it was discovered that a private security company, American Police Force, had entered the small town of Hardin, Montana and had assumed the duties of patrolling the town and enforcing laws. APF had originally been contracted to provide security at a detention center near Hardin. However, not long after, residents were answering to them as if they were real law enforcement personnel. APF “officers” were soon driving around in police patrol vehicles, harassing citizens, and acting as if they were truly the authority in Hardin. Only after the independent media, such as Alex Jones’ Infowars, exposed APF did the mercenaries leave Hardin. Private security forces, DynCorp specifically, were also used in the aftermath of Katrina in New Orleans. The use of private security forces in war theatres such as Iraq and Afghanistan is bad enough, but their use against the American people is unconscionable. Unfortunately, this is a trend that is continuing to grow by leaps and bounds every year. While one can argue that there is a place for private security companies, there is no argument to be made for their assuming duties designated to local police forces. It is important for everyone to remember that private security forces, whether contracted out by the government, businesses, or acting alone, have no jurisdiction. They are not police officers and should not be treated as such. It’s not likely that many local police officers appreciate private security being brought in to do the jobs designated to them — especially when these contractors make many times more money than public officers for doing the same (if not less) amount of work. Thus, it is important for everyone — average citizens and police officers alike — to speak up and stop private security forces from invading our communities. For those communities that have already been invaded, it’s time to make your voices heard and drive them out. Be the first to comment on "Private Security Continues to Invade American Towns"